A fuzzy old woman hat. 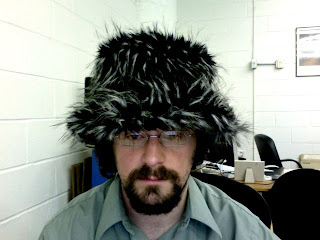 It's the hat that is fuzzy, not the old- Never mind. It smells like an old lady.